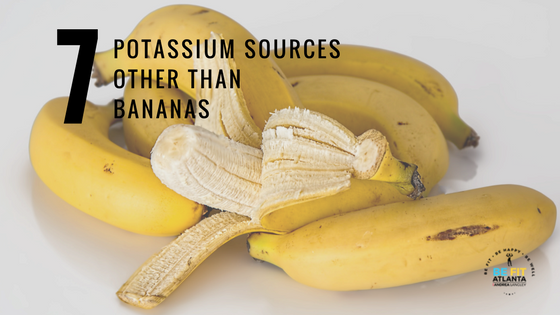 Great Potassium Sources other then Bananas! What’s the big deal about Potassium? The World Health Organization recommends that adults consume at least 4g of potassium daily. (Source: WHO). There is a synergy between potassium and salt as reducing sodium and increasing potassium can reduce the risk of stroke. Potassium’s major task is to help activate your heart to contract and send blood throughout the body. Traditionally, when people suffer a cramp or notice they are in need of potassium they can remember being told to “eat a banana!” Yes, it is true that bananas are rich in potassium, but it’s also high in sugar! Here are seven other food sources that have potassium: Avocado. Try these low sugar alternatives for just the right amount of this vital mineral.